"Brooklyn is so diverse and we wanted to draw from that in terms of inspiration"
In the cosmetics world, organic and animal-friendly products are gaining market share rapidly. Now, one Brooklyn startup is trying to break into the industry, based out of their own cosmetics lab here in the borough. We spoke to one of its co-founders, Felipe Vasconcelos, to find out more. Meet Atomic Makeup. DBP: Tell us about Atomic Makeup. Felipe Vasconcelos: We are a vegan and cruelty-free makeup brand. I think what makes us special is that we have a lab in Brooklyn and make everything in-house (Atomic Makeup’s other co-founder, Navil Rico, manages the lab). Most cosmetics businesses outsource their products. DBP: What makes traditional cosmetics non-vegan? FV: Most cosmetics use animal-based ingredients. There has been a shift in the market for more vegan products and products that are not tested on animals. People are not just saying, ‘Hey, this is a pretty color!’ they’re a lot more conscientious, thinking about how their choices affect the world around them. We saw that there’s a big demand for that but we also noticed that a lot of our competitors were sourcing from China or, if from the US, that the products weren’t really great. There’s also not much focus on products for people of color. We wanted something that was really high quality, we wanted to make it ourselves, and, because this is a Latino-owned company, we want to make color cosmetics for people of color. DBP: Where is the lab based? FV: The lab is based in an industrial building in Bushwick, by the Morgan L stop. Because we have this lab we also have a lot of demand from other brands. We started doing white labeling and private labeling of our products and we even have customers in Brazil who found our products and love them to death. We’ve been working with them on signature formulations. In the US we’ve had tons of interest from people who have a line and want to increase the number of products they have. We’re also launching a line of CBD cosmetics. We haven’t seen a lot of colored cosmetics that have CBD. 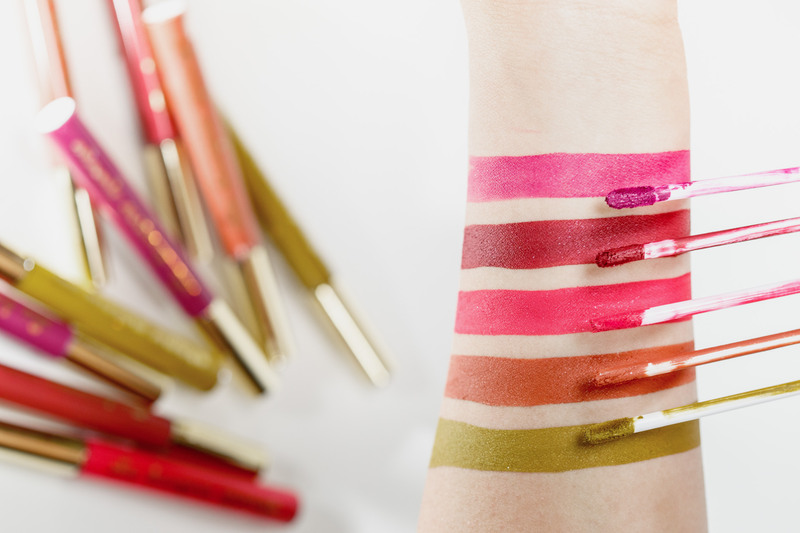 We’re going to be launching liquid lipsticks soon. DBP: What made you want to do CBD-infused cosmetics? FV: It’s really about demand. We know CBD is trending right now and our customers have asked us about it so we’re going to give it a try. DBP: Why did you decide to pick Brooklyn as the place to make it in? FV: We’re all very creative and we wanted to be around creative people. And also because it’s so diverse and we wanted to draw from that in terms of inspiration. We want the people on our team to be creative. There aren’t a lot of places like Brooklyn. You can find out more about Atomic Makeup and Navil’s and Felipe’s newest creations here. If you’d like to stay updated about events like this, and more, sign up for our newsletter here, and follow us on Twitter and Instagram #MakeItinBK.